Prime season April and continues to mid October. 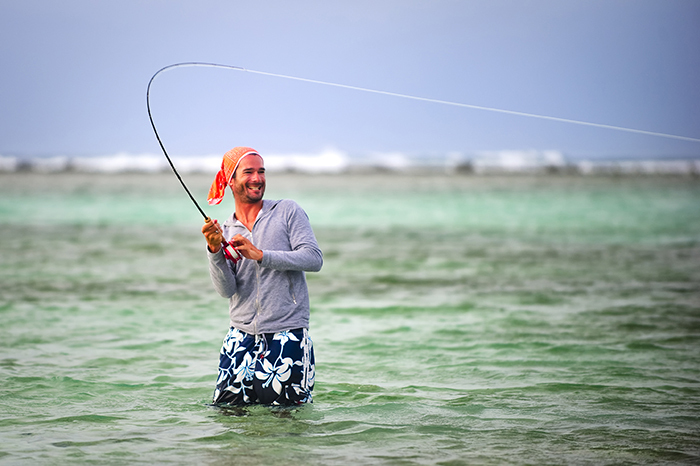 Known as one of the Caribbean's premier saltwater fly fishing destinations. Miles of crystal clear, wadeable flats. 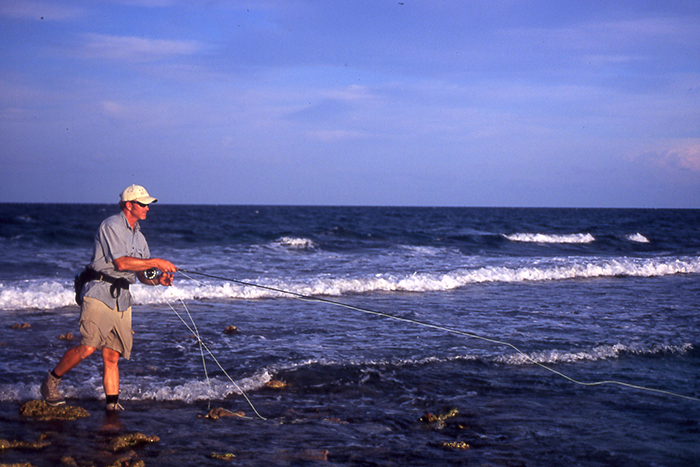 Bonefishing is a mainstay of our fishing. 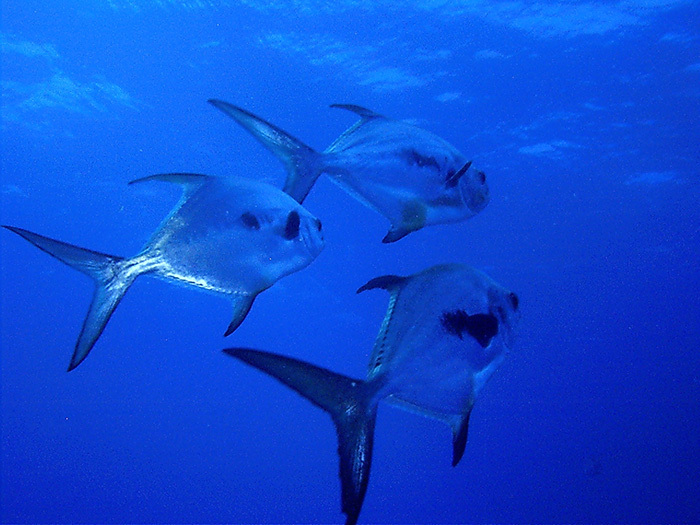 Tailing permit with a reasonable opportunity to catch one. 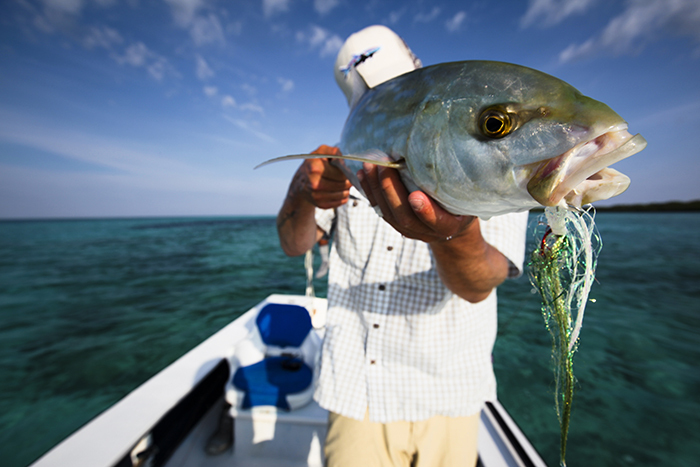 July and August are usually the best months for tarpon fishing. 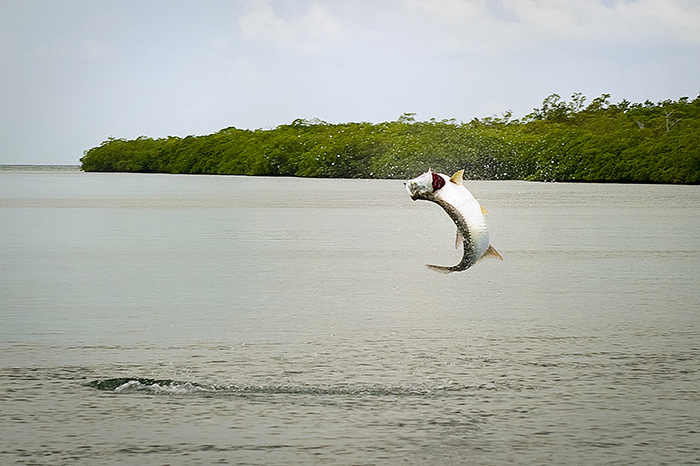 Tarpon are in the 70-90 pound range, but we see a few 150-200 pound monsters each year. 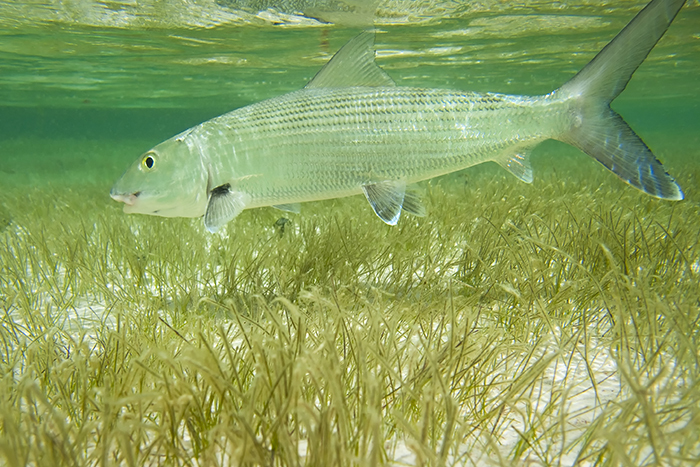 Rare spots to pursue a Flats Grand Slam Bonefish, Permit, Tarpon. 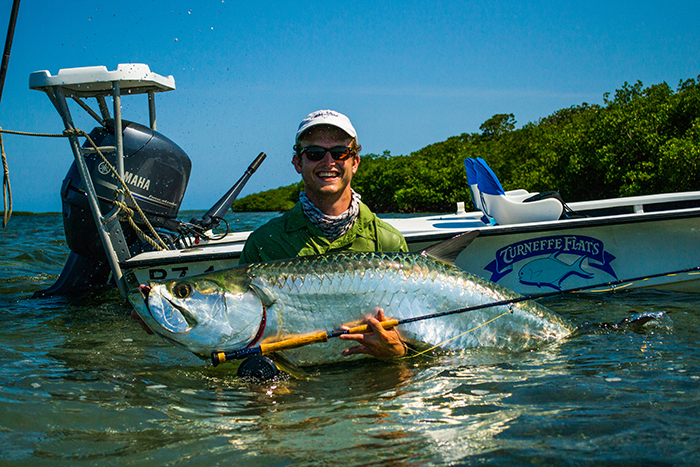 For years Turneffe Flats has been known as one of the Caribbean's premier saltwater fly fishing destinations. The diversity of our saltwater flats fishing sets us apart from other destinations and the opportunity to catch bonefish, permit and tarpon on a given day makes Turneffe Flats one of the rare spots to pursue a "Flats Grand Slam," the landing all three species in a single day. Although the spin fishing at Turneffe is exceptional, we are primarily a fly fishing destination. 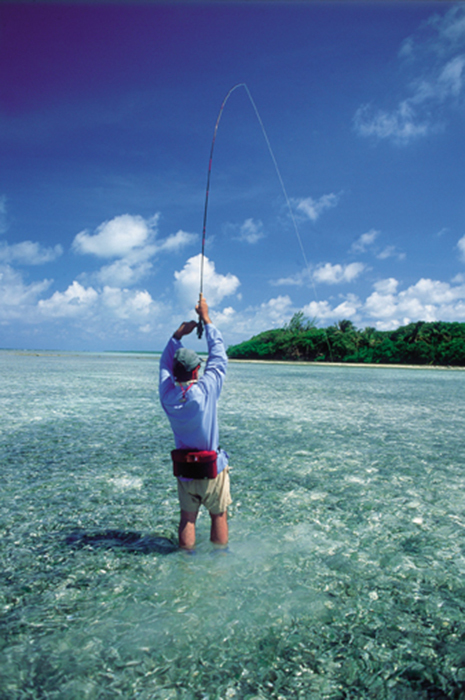 We are privileged to have a large repeat customer base with anglers from the finest fly shops and outfitters around the world making Turneffe Flats their annual saltwater fly-fishing destination.